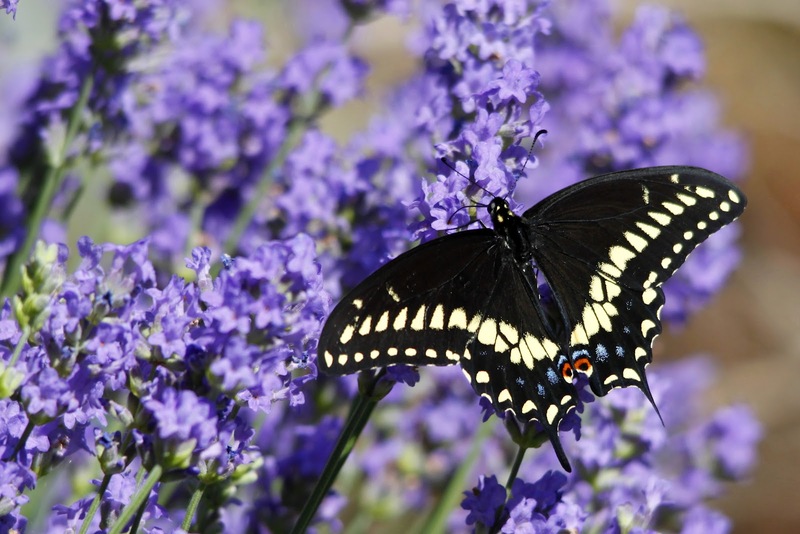 Black Swallowtail visiting the lavender bush in the backyard. This summer I really started to take notice of all the different types of butterflies in our area. 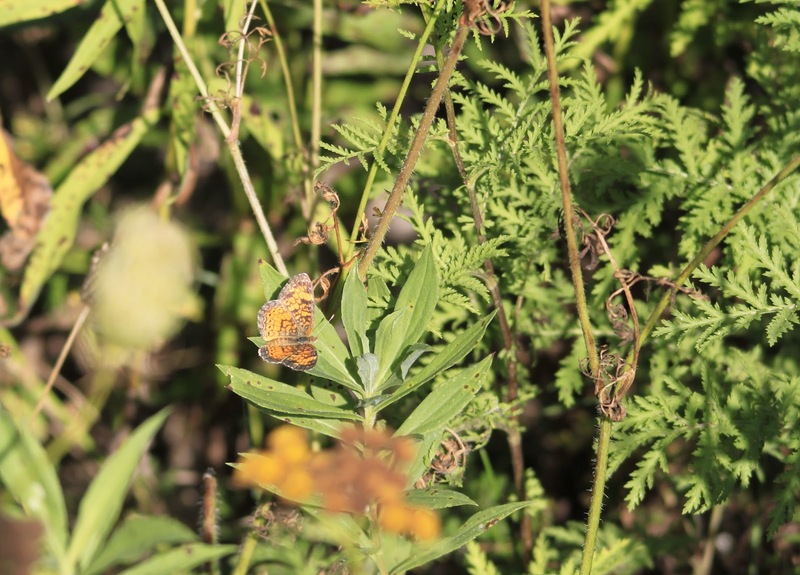 Our yard has seen many different types this year, more then I every remember. Here are a few photos of some that we have seen while out and about on birding trips and here in our own backyard. All photos by Rob. 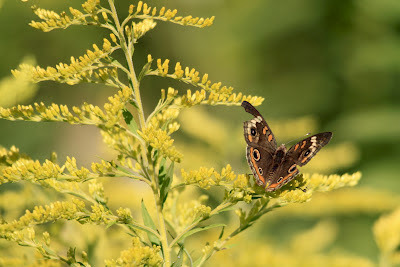 Common Buckeye with a damaged wing, but he could still fly! 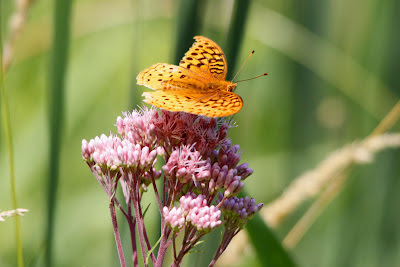 Great Spangled Fritillary, say that 5 times fast! 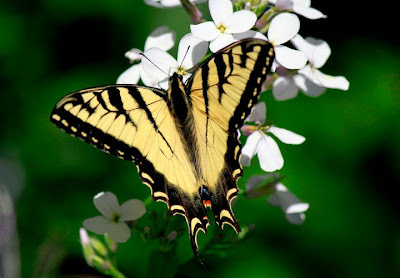 Eastern Tiger Swallowtail, pic taken last year, but seen in the yard this year also. 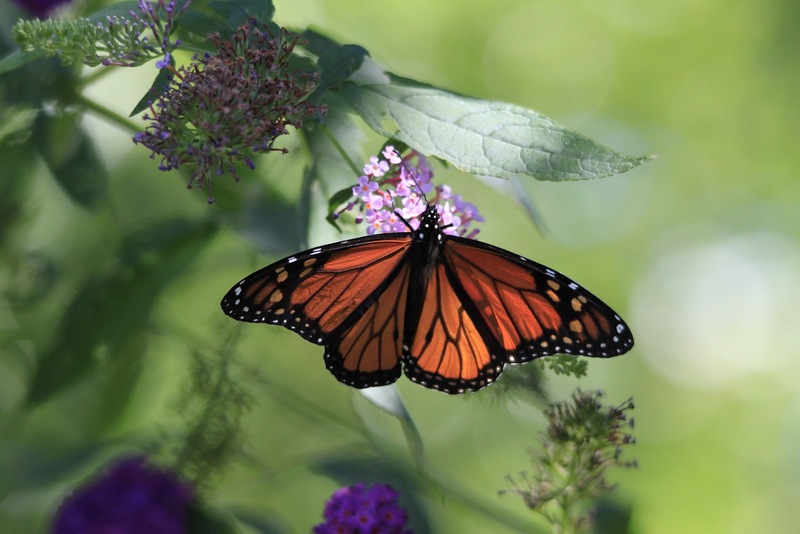 And last but not least, the beautiful Monarch. We have seen so many in the yard this year, more then ever before. 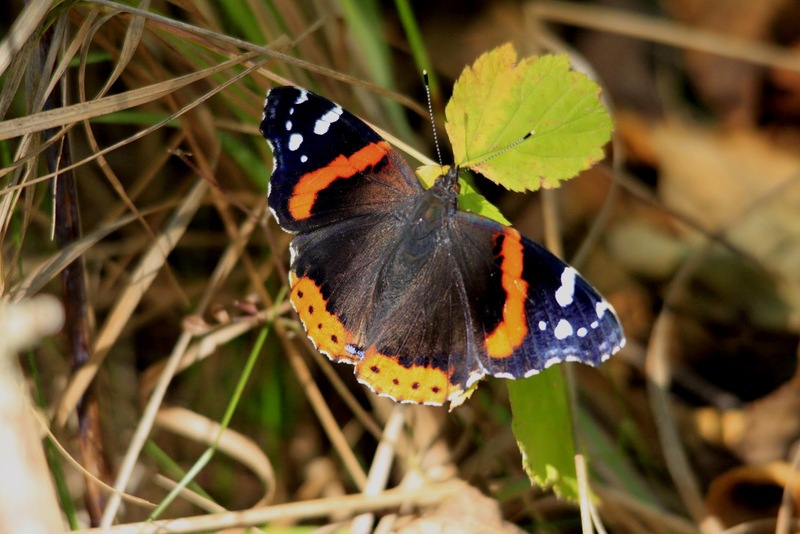 It's amazing to think that this fragile little butterfly travels thousands of miles every year to migrate to Mexico. We've been enjoying the butterflies so much we have decided to add to our butterfly bushes and milkweed next year and make an area of the garden devoted to butterfly friendly plants, can't wait! You're lucky you have a backyard they can come to. Awesome shots by Rob. Wondering if we're going to see an early migration this year due to the earlier spring.